Andy Warhol disciple Matthew Rolston's next exhibition has just been announced. It’s a retrospective of his photographic work in the ‘80s and called Hollywood Royale: Out of the School of Los Angeles, opening March 2 and on view through April 21, 2018 at the The Fahey/Klein Gallery in Los Angeles. Avid fans of pop culture and Hollywood should ready themselves to see images of familiar actors, like Farrah Fawcett, Jodie Fosterand and Molly Ringwald. In addition to getting his start at Warhol’s Interview Magazine, Rolston has also shot for the likes of Rolling Stone, Vogue, and Vanity Fair. Photographer and director Matthew Rolston discusses his new book, Hollywood Royale: Out of the School of Los Angeles, with writer Matt Tyrnauer, who directed the 2009 documentary, Valentino: The Last Emperor. An L.A. native and Art Center College alumnus, Rolston was hired by Andy Warhol in 1977 to work for his magazine Interview. Most of the more than 100 photographs in Rolston’s book, which includes images of Michael Jackson, Madonna, Prince, George Michael, Janet Jackson and other celebrities and rock stars, ran in Interview and Rolling Stone and were shot in L.A. from 1977 to 1993. Rolston’s career also includes directing videos for David Bowie, TLC, Mary J. Blige, En Vogue and Salt-N-Pepa. We dare you not to feel starstruck. Rolston, who came out of Warhol’s Interview magazine and is considered one of the most influential celebrity photographers from the 80’s, is presented in all his glory in this large-format collection of more than 100 glamorous photos (many rare) that include the likes of Madonna, Prince, Michael Jackson and Spielberg. Simply iconic. With Los Angeles quickly becoming the cultural capital of the century, there is no shortage of must-see openings, events and happenings occurring throughout the city at any given moment. So where to turn your attention first? We’ve put together our cheat sheet of people, places, and things to have on your radar right now. Matthew Rolston is having a revival. The portrait photographer of choice for Andy Warhol's Interview Magazine is celebrating his illustrious career with two back-to-back shows: one at Ralph Pucci called "Art People," through February 23, and the second at Fahey/Klein, "Hollywood Royale: Out of the School of Los Angeles," opening March 2, which closely coincides with the release of a monograph of the same title. Bookending his career to-date, the Ralph Pucci show represents his latest fine-art exploration, documenting Laguna Beach's annual tableau vivant festival, Pageant of the Masters. Meanwhile, the Fahey/Klein show highlights the over-the-top glamour of his earliest editorial portraits of Michael Jackson, Madonna and more, questioning the nature of celebrity. Whether working on his own projects or as a genius for hire, you can find Rolston in every frame. "For me personally, every portrait is really a self portrait," he says. "The moment I connect with that person I find something that I recognize in myself. That's the picture." Matthew Rolston's 'Hollywood Royale' features the decade's iconic talent. Matthew Rolston is an artist who works in photography and video; his practice centers on portraiture, most notably subjects drawn from celebrity culture. 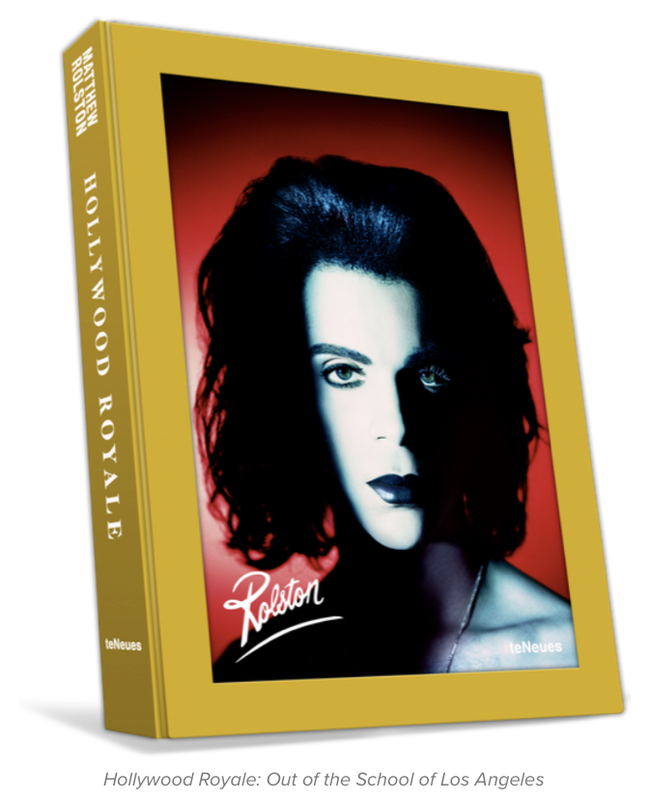 Rolston’s latest work, Hollywood Royale: Out of the School of Los Angeles, a retrospective of Rolston’s work in the 1980s, presents a stunning array of portraits that beautifully capture the breadth of that decade’s iconic talent, from Michael Jackson to Madonna, from Cyndi Lauper to Prince. The book will be released in the U.S. in October 2017 by teNeues with a retail price of $125. One of a handful of artists to emerge from Andy Warhol’s celebrity-focused Interview magazine, Rolston is a well-established icon of Hollywood photography. Alongside such luminaries as Herb Ritts and Greg Gorman, Rolston was a member of an influential group of photographers (among them, Bruce Weber, Annie Leibovitz, and Steven Meisel) who came from the 1980s magazine scene. Rolston helped define the era’s take on celebrity image making, “gender bending,” and much more. The photographs in the book recall the glamour of old Hollywood with postmodern irony, helping to point the way towards the cult of fame we live with today. This volume features over 100 mesmerizing photographs selected from Rolston’s extensive body of work, including Prince, Madonna, Cyndi Lauper, Michael Jackson, George Michael, Sylvester Stallone, Bono, Christy Turlington, Cindy Crawford, Anjelica Huston, Jodie Foster, Drew Barrymore, Farrah Fawcett, Isabella Rossellini, Jane Fonda, and Michelle Pfeiffer. 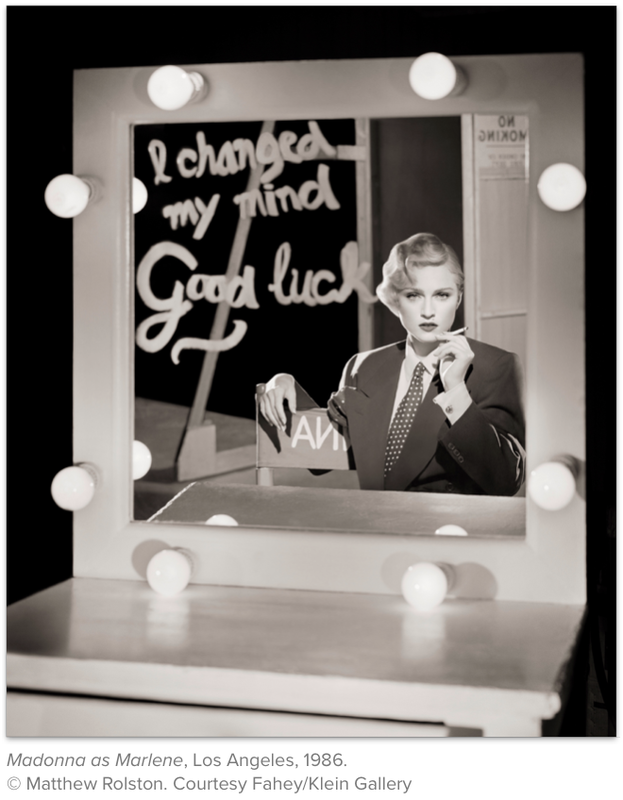 The book also includes essays that explore the history of the “Hollywood glamour” tradition and its revival in the 1980s, written by authors Pat Hackett, Andy Warhol’s longtime biographer and diarist; Colin Westerbeck, noted photographic curator and expert on legendary American photographer Irving Penn; and Charles Churchward, longtime creative director of both Vogue and Vanity Fair magazines and author of The Golden Hour, a definitive biography of photographer Herb Ritts. 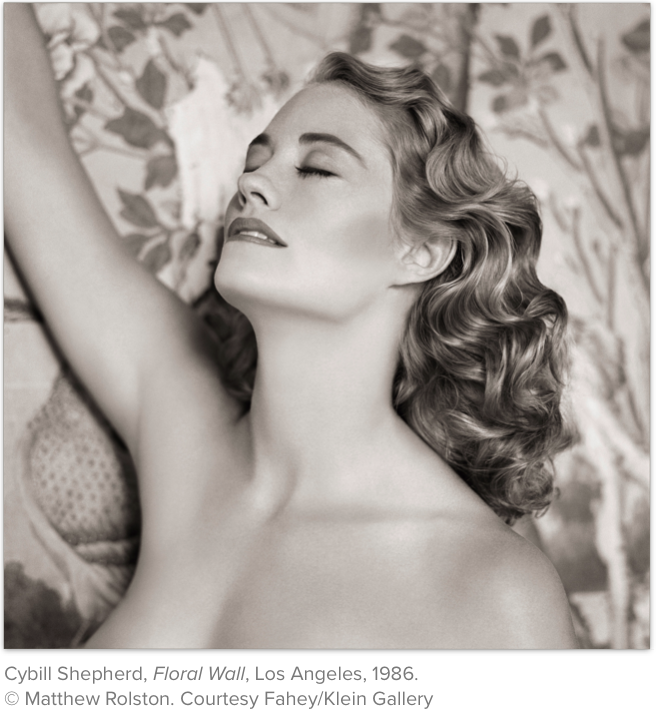 An impressive exhibition of the works from HOLLYWOOD ROYALE will be on display at CAMERA WORK Galerie in Berlin, beginning in October 2017, and at Fahey/Klein Gallery in Los Angeles, opening March 2018. Matthew Rolston resides in Beverly Hills, California. In 1977, Rolston was “discovered” by Andy Warhol, who commissioned portraits for the proto-celebrity magazine, Interview, soon followed by assignments for Rolling Stone, from founding editor Jann Wenner, and from Vanity Fair magazine, under editors Tina Brown and, later, Graydon Carter. This sparked an extraordinary career, with photographs published in Interview, Vogue, W, Harper’s Bazaar, Vanity Fair, The New York Times, and over 100 covers of Rolling Stone. Rolston’s images are notable for their glamorous lighting and detail-rich sets. His work has helped define the contemporary aesthetics of American portrait photography. Rolston’s photographs have been exhibited worldwide and are in the permanent collections of LACMA and the National Portrait Gallery in Washington, D.C., among others. Back in the 1980s, there were three celebrity photographers in Los Angeles who were colleagues, collaborators and friends: Herb Ritts, Greg Gorman and Matthew Rolston. Along with these friends Rolston was a member of an influential group of photographers (including Bruce Weber, Annie Leibovitz and Steven Meisel) to emerge from the 1980’s magazine scene. Rolston’s early photographs from this era are notable for their distinctive and glamorous lighting style, surrealistic tableaux, and detail-rich sets. His imagery has helped define the contemporary aesthetics of American portrait photography and truly embodies modern glamour. Rolston and his LA colleagues helped to further the culture of Hollywood glamour, a movement designated The School of Los Angeles by art director and author Charles Churchward. At Art Center, the emphasis was on the use of view cameras, so Rolston was well schooled in traditional photography and darkroom techniques. He continued to use large format equipment through much of his career. Nowadays, he has fully embraced digital photography, relying primarily on Phase One cameras. “I don’t care if I never see another piece of film again in my life,” he says with a laugh. Rolston is a student of the history of photography and images of the great photographers of the past continue to inform his work. He points out that the tradition of glamour photography of movie stars and celebrities gave way in the 1950s to a more informal, lifestyle approach. But his career started at a time when there was a rebirth of interest in glamour, activated to a degree by the work of artists and photographers like Andy Warhol and Helmut Newton. In the 1980s there was a revival of interest in glamour photography and Rolston was at the forefront of that movement. “I’m not the creator of the ‘80s glamour revival,” Rolston explains, “although I’m a part of it. It was really started by three men: Andy Warhol, Helmut Newton, and George Hurrell. From the beginning, Matthew Rolston’s work became associated with Hollywood glamour, celebrities and movie stars. But with his knowledge of the photographic work of the past, he describes his approach to photography as “post modernist” – the appropriation, recycling of past styles and themes in a modern-day context. Post modernism also involved removal of the barrier between fine and high arts and low art and popular culture. This is an attitude he shared with Andy Warhol, publisher of the magazine Interview – and shooting photos for Interview helped kick-start Rolston’s career. Warhol himself was an enthusiastic advocate of appropriation and ignored the distinctions between high art and contemporary culture. He was also hugely interested in the idea of celebrity, movie stars and popular culture in general, all of which also became areas of interest for Matthew Rolston as well. Rolston has had one of the major photographic careers in the recent past. In addition to editorial and commercial work, his photographs have also been exhibited at museums and institutions. Selected group shows include Beauty CULTure (with Lauren Greenfield, Herb Ritts, Andres Serrano, and Carrie Mae Weems, 2011), The Annenberg Space for Photography, Los Angeles, California; The Warhol Look: Glamour, Style, Fashion (curated by Mark Francis and Margery King), The Whitney Museum of American Art, New York (1997); and Fashion and Surrealism, FIT Gallery, New York, 1987 (traveled to the Victoria & Albert Museum, London, UK, 1988). His photographs are in the permanent collection of the Los Angeles County Museum of Art and the National Portrait Gallery (Donald W. Reynolds Center for American Art and Portraiture at The Smithsonian, Washington D.C.). Four monographs have been published of Rolston’s work. Big Pictures, A Book of Photographs (1991) is a collection of early photographs (introduction by Tim Burton) published by Bullfinch Press, New York; beautyLIGHT, Pictures at a Magazine (2008) is a survey of twenty years of Rolston’s celebrity portrait photographs, published by teNeues, Germany; and Talking Heads: The Vent Haven Portraits (2012) a fine art series, published by Pointed Leaf Press, New York. Rolston’s latest book and gallery exhibition is a retrospective of his photos from 1977 to 1993. 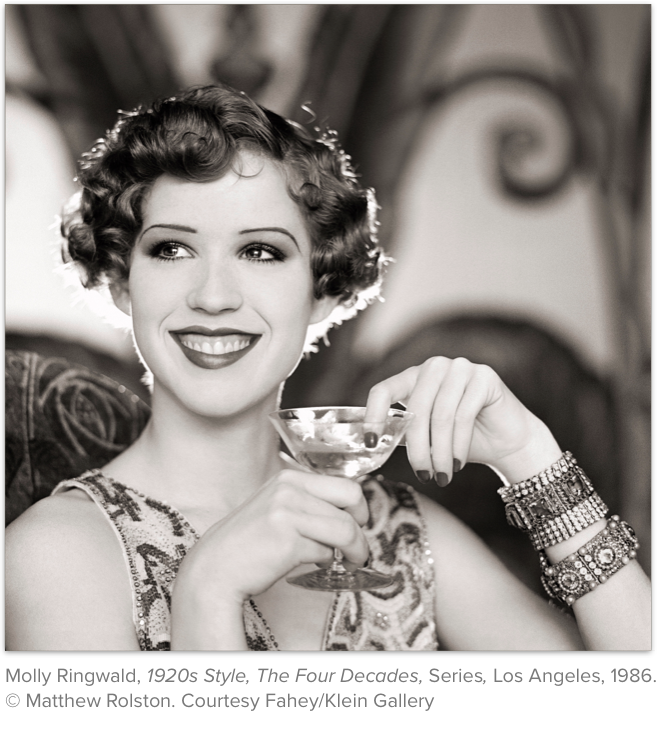 Edited by long-time Los Angeles–based gallerist and curator David Fahey, this project, HOLLYWOOD ROYALE: Out of the School of Los Angeles — which includes Rolston’s fourth monograph, as well as a traveling exhibition — presents an array of portraits that beautifully and succinctly capture the decade and its myriad talents. From Michael Jackson and Madonna, to Prince, George Michael and Cyndi Lauper, the selection of images reflects a seamless blend of style and imagination. The project features over one hundred photographs selected from Rolston’s extensive body of work, centering on his portraits of the era’s most famous personalities. The book includes essays by authors Pat Hackett, Andy Warhol’s longtime collaborator and diarist; Colin Westerbeck, noted photographic curator and expert on legendary American photographer Irving Penn; and Charles Churchward, longtime design director of both Vogue and Vanity Fair magazines and author of The Golden Hour, a definitive biography of photographer Herb Ritts. Hollywood Royale: Out of the School of Los Angeles, paints a memorable picture of an indelible image-maker and the film stars, models, and artists he immortalized during the 1980s. In 1998, Rolston endowed the “Matthew Rolston Scholarship for Photography and Film,” at Art Center College of Design. He remains actively involved in this program, as a mentor and guest lecturer. Matthew Rolston has continued to form lasting relationships with celebrities and magazines, such as his long association with Oprah Winfrey. Rolston has had the unique distinction of photographing Oprah for more than 40 covers of O, The Oprah Magazine. Rolston has shot Oprah for her magazine more than any other photographer. Matthew Rolston is also a filmmaker who works in video. Known for his distinctive lighting techniques, Rolston has helmed award-winning music videos for artists as diverse as Madonna, Janet Jackson, Beyoncé Knowles and even Marilyn Manson, as well as both print and television campaigns for a wide variety of internationally recognized brands including Campari, Bacardi, L’Oreal, Revlon, Esteé Lauder, Clairol, Pantene, Elizabeth Arden, Gap, Polo Ralph Lauren and Burberry. For example, Rolston’s exhibition and book Talking Heads: The Vent Haven Portraits is comprised of monumental color portraits of dummies chosen from a collection of nearly seven hundred ventriloquial figures (dating from 1820 – 1980) housed at the tiny Vent Haven Museum in Fort Mitchell, Kentucky. This exhibition created a sensation in the art and design worlds. The book was selected for many top ten art book lists and received favorable reviews from such outlets as the New York Times, Vogue, CNN, CBS, ARTnews and many others. 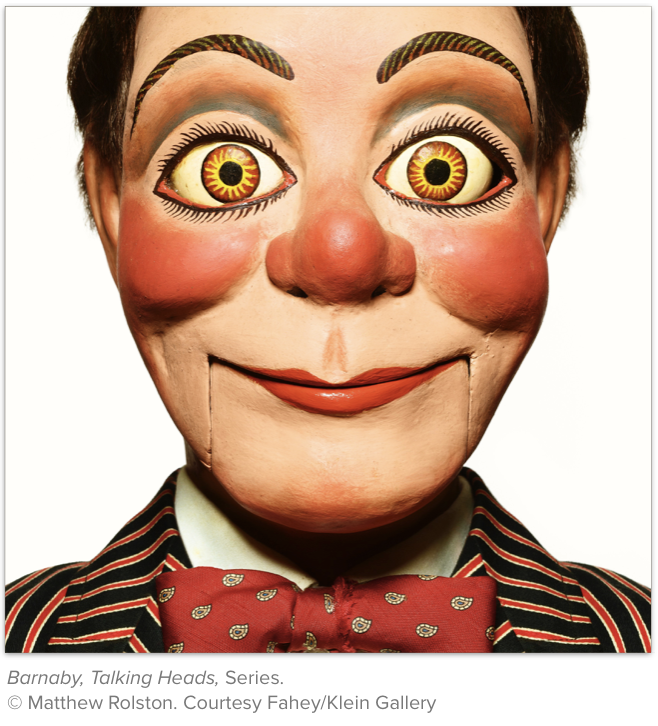 The monumentally scaled ‘portraits’ of ventriloquist dummies drew comparisons to the works of Richard Avedon and Irving Penn when the work was exhibited at Diane Rosenstein Fine Art in Los Angeles. 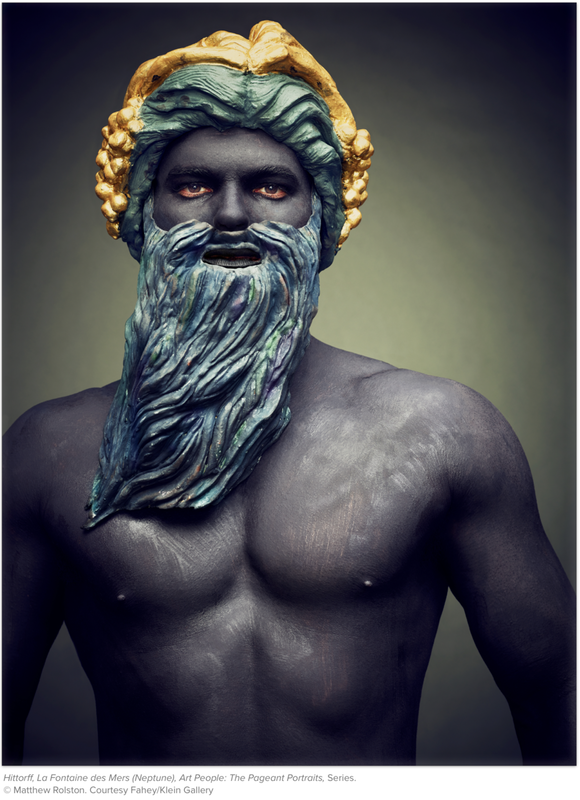 More recently, Matthew Rolston has mounted an exhibition of his groundbreaking series, Art People: The Pageant Portraits, that furthers his investigations into the nature of portraiture and the methods by which society and the human condition are mediated through artwork and art creation. This exhibition, comprised of emotionally-intimate portraits of participants in “Pageant of the Masters”, an annual arts festival held in Laguna Beach, California, features dramatically-scaled color prints; one installation alone is over thirty feet wide. 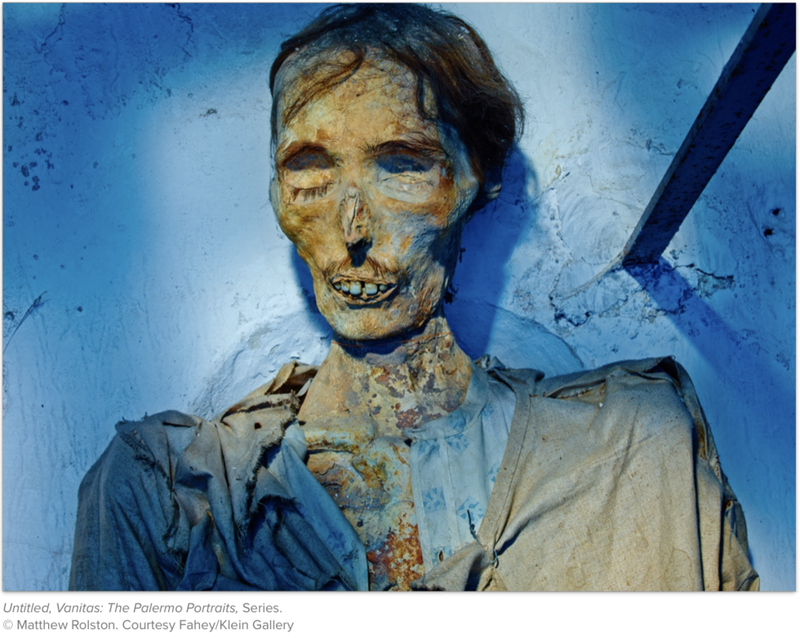 Another new series of photographic experiments by Matthew Rolston, dramatic portraits of the mummies housed in the Capuchin Catacombs of Sicily, is called Vanitas: The Palermo Portraits. This project has not yet been published or exhibited but represents Rolston’s continuing evolution as a photographer and increasingly wide-ranging areas of interest. Rolston’s representatives for his commercial photography work include Michelle Sack of foureleven, New York and Kathrin Hohberg, Munich. In the areas of environmental and product design as well as creative direction and brand creation, he is represented by Culture + Commerce, New York. Rolston’s fine art photography is represented by the Fahey/Klein Gallery, Los Angeles, and Camera Work Photogalerie, Berlin. Rolston’s touring fine art shows are represented by Curatorial Assistance Traveling Exhibitions, Los Angeles, and ECHO INTERNATIONAL, Paris. Matthew Rolston’s website is Matthew Rolston Creative, Inc.
Rolston’s production offices are located in Beverly Hills, California. He continues to divide his professional time between photography, filmmaking and creative direction, traveling frequently between Los Angeles and New York City. Rolston resides in Beverly Hills. 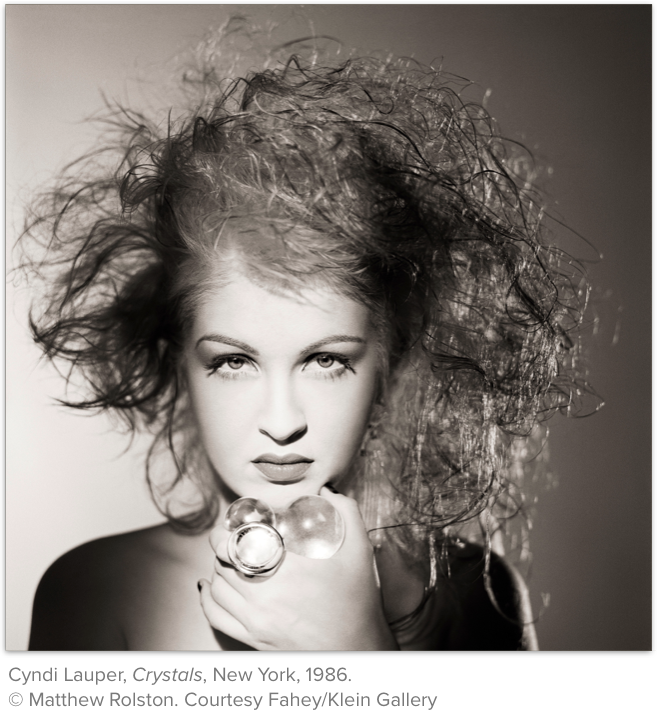 In a new book, Matthew Rolston captures 80s icons with an Old Hollywood aesthetic. To know Matthew Rolston, one must first understand Andy Warhol. One could say that the American pop artist Warhol made fame and artifice his main subjects, and because of this, he was never far from the life and imagery of Hollywood. Of all his creative inclinations, it was his Interview magazine that best demonstrated his fixations on the glamorous, the glitzy, the ideal. As Warhol’s fame grew, so did his circle. And in interacting with various Hollywood giants, he became hungry for nostalgia, for the Old Hollywood glamour aesthetic. You know the look. That Audrey Hepburn image. That Clark Gable vibe. The kinds of shots you’d probably find on a La La Land mood board. But American society was well past the point of black-and-white cinema, and mass media wasn’t into that aesthetic anymore. Matthew Rolston, who shot for Interview and made a name for himself as a sought-after Hollywood photographer, pulled off that look and he did it like nobody else. To celebrate Rolston’s legacy, teNeues (teneues-books.com) is releasing Hollywood Royale: Out of the School of Los Angeles, a monograph containing some of Rolston’s most memorable shots. The book is a testament to his reputation as master of light and shadow, capturing the entertainment icons of his time—from Michael Jackson to Cyndi Lauper—in a way that couldn’t be replicated by the sensibilities of modern television or cinema, or any of his contemporaries, for that matter. It would be reasonable to designate Rolston’s work from Interview magazine as his pivot point. In the essay “Matthew Rolston: Warhol’s Post-Modern Glamour Photographer”—which is featured in the book, along with a few other essays that shed light on his oeuvre—Rolston “executed his first real glamour portrait” when shooting Martha Davis, front woman of the New Wave band The Motels, for Interview. From there, his style became more defined, and he portrayed his subjects in a vintage light, as if shoving them into a period of time in which they could not possibly inhabit, if not for Rolston’s eye. It’s evident in the plates. Madonna looks more Casa-blanca than Vogue. Sylvester Stallone looks like a jet-set shipping magnate. Make no mistake: Rolston’s work is hardly cheap nostalgia. While his photos are reminiscent of Old Hollywood glamour, they are shot with an ironic eye, so to speak, portraying the cult of fame in a way that resonated with Warhol’s view of the world: Hollywood not as an idea rooted in the romantic, but Hollywood for the sake of itself.